You spend a lot of time, effort and money on your lawn. On a late Saturday afternoon, you stand with pride admiring the luscious green grass that graces your yard never regretting the weekends you’ve sacrificed. Throughout the week, as you pull into the drive you can’t help but smile at the perfectly manicured hedges and the weed-free flower beds that border your walkways. But you know it’s not complete. Something is missing – you just can’t put your finger on it. No landscaping project is ever complete though until you edge. It’s the finishing touch that gives your yard the professional look that you’re looking for. You may think that trimming can achieve what you’re looking for, but it can’t. While both trimmers and edgers are important tools in your lawncare toolkit they perform different functions. 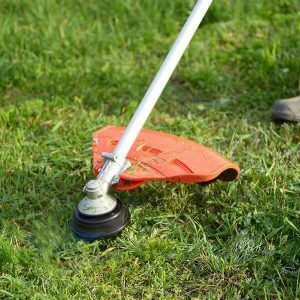 Trimmers use a nylon string and generally reduce the height of your grass. Trimmers are primarily used in those areas where you can’t get a regular mower such as near trees or when you have some unsightly weeds that grow a foot overnight and don’t justify using your regular lawnmower. Edgers, on the other hand, are used to give your yard those clean, well-defined lines. While there are trimmers that state they can be used as edgers I think you’re better off having two separate tools. The model shown below, the Black and Decker LE760FFAM landscape edger (Amazon link), is a typical consumer grade electric edger. Edgers provide a vertical delineation using a true blade and can be used to create either straight or curved lines. You can get a manual edger, a gas-powered edger or an electric edger. Before you do this though consider how the edger will fit into your overall lawn maintenance. If you have a very small walkway or similar area to edge you may be better off with a manual edger. They are much cheaper and it’s ready to work whenever you are. You don’t have to worry about having an extension cord that will be long enough to reach all the areas you need or running out of gas when you’re on that last section. 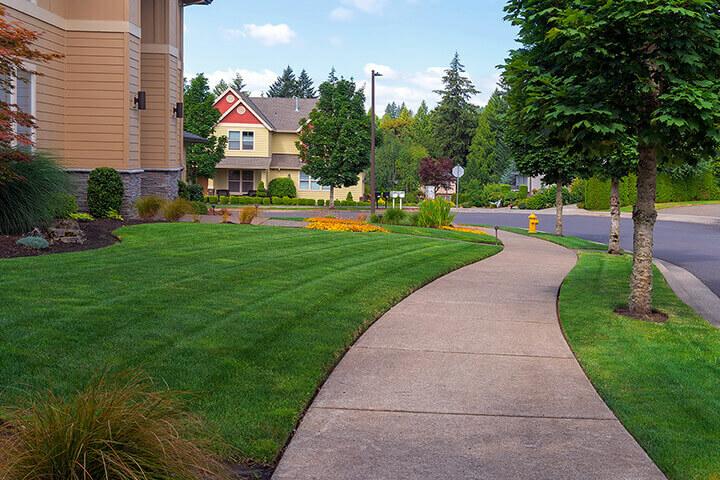 Everyone loves a freshly edged sidewalk. If you have a more substantial lawn to maintain then certainly a powered edger is what you need. As I said earlier, there are gas-powered versions and electric versions. The latter can come with battery packs thereby allowing you to not be tied to an electrical outlet. However, if your home has multiple outside outlets a corded version may be your best option. Take it from me, nothing is worse than having to delay your work because you forgot to charge the battery packs. As with most tools, something that is gas-powered will be more powerful than its electric counterpart and this is also true with edgers. While that power may be attractive in terms of your ability to complete your yard work faster, gas edgers may require a bit more maintenance than you’re comfortable with. So be sure to add edging as a regular step in your lawn care maintenance. The clean lines will not only provide that well-manicured look but will also simplify the ongoing upkeep of your yard.